Here's something you don't see every day. Three thousand chickens escaped from an overturned truck in China. In this video you see Chinese police valiantly trying to round them up. Yee Haw Chicken Round Up! If you didn’t win, don’t worry. As a special thank you, we’ve created a coupon code that will save you 15% when you make a purchase over $50. Just use coupon code “Save” when placing your order. Now everyone wins! This little device from PelegDesign can help you separate eggs and yolks. The video shows it in action. Cute and probably a good accessory if your kitchen drawers aren't already full of little labor saving devices like this. Although, the shortest day of the year is now behind us, I find January to be the hardest month of the year. Its too cold to do much outside and overcast winter skies can leave me a bit blue. 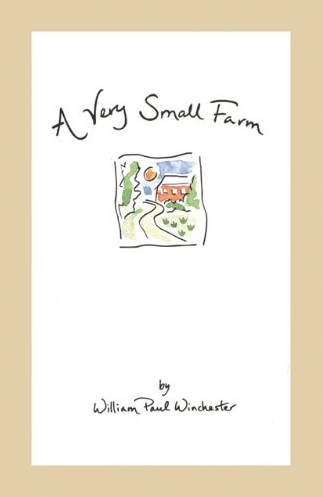 As an antidote to the cabin fever, I suggest a little gem of a book called A Very Small Farm. Written by William Paul Winchester, the book is a memoir of his 18 year journey into homesteading. 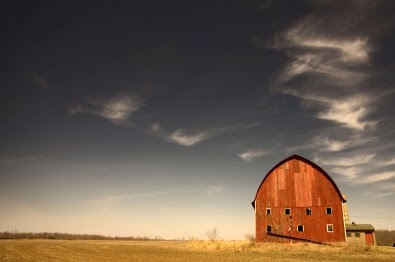 Having completed a college degree in botany, Winchester buys a 20 acre parcel in Oklahoma and builds a house, barn and garden on his property. Like a modern Thoreau, Winchester lives a simple life of solitude -- tending his Buff Orpington hens, milking his cow and harvesting fruit from his orchard. His only source of cash income is the honey he sells from his many bee hives. Winchester recalls that during an election campaign he's called by a pollster to ask about his political views. The author admits to be stumped when he's asked about his income; "There was no place in his questionnaire for my embarrassment of riches, only a dollar figure placing me somewhat near the poverty level." "I don't consider myself any more sentimental than the next, but in the course of those quiet hours in the garden with my hoe an affinity develops, one that deepens immeasurably in the case of seed I save back for planting next spring. Because of the seeds in those jars and packets in the pantry, winter never seems long. Brought out on a snowy evening and scattered on the dining table in a pool of lamplight, seeds look like nothing so much as precious stones -- treasure, which in a real sense they are." The book's chapter are arranged topically but each includes a set of journal entries Winchester recorded in his diary. They are arranged chronologically, and over the course of the book, provide a glimpse into daily life on Winchester's farm through an entire calendar year. Reader be warned, the journal entries all begin with a description of the day's weather. I suspect that the publishers choice to include this information was a conscious one, and meant to act as a literary device to convey a sense of stability on the farm, because it doesn't make for scintillating reading..."Change to rain and falling rapidly, cirrus fair becoming stratus mostly cloudy, 42 to 67 degrees..."
That said, I highly recommend A Very Small Farm to gardeners, homesteaders and wannabes. An elegant little book and a quick read, you can buy a copy at Amazon.com for just $10. A special treat for our readers this wonderful Sunday morning! 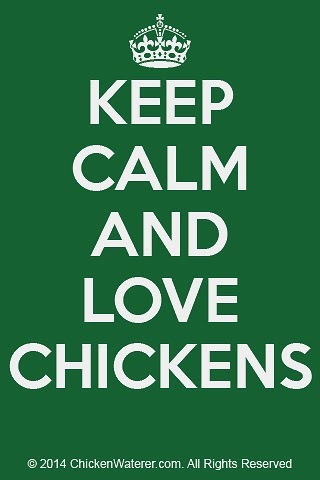 Free KEEP CALM & LOVE CHICKENS wallpaper. You can use this as the background for your computer, tablet or smartphone since we’ve made it 25 of the most common screen size resolutions. If you decide to use one, please like us on facebook. 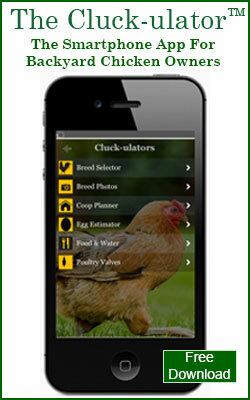 You can find the wallpaper at our website: Chicken Waterer Downloads. Orpingtons are prized for their massive appearance and they can truly tower over other breeds in the flock; a large framed bird with short legs and “fluffy” plumage, the Orpington looks like a giant cuddly snowball. However, today’s Orpington is quite different than the breed first introduced in the 19th. century. In fact, it’s of a completely different breeding stock. Developed by William Cook in 1886, the original Black Orpington was intended to be a dual-purpose breed with high table value. 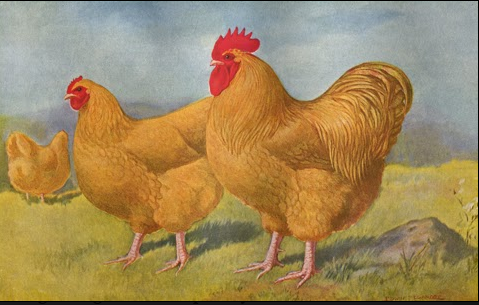 Specifically, Cook developed the Orpington to satisfy the needs a growing number of poultry enthusiasts who wanted a chicken breed that would lay a large number of eggs, lay in Winter, and to be a good meat bird. Cook first mated Black Minorcas with Plymouth Rocks and then bred the female offspring of this pairing with Langshans. The result was the Black Orpington, a breed with the desired characteristics and a lovely beetle-green sheen on black plumage. Interestingly, the breed’s color was not an accidental. 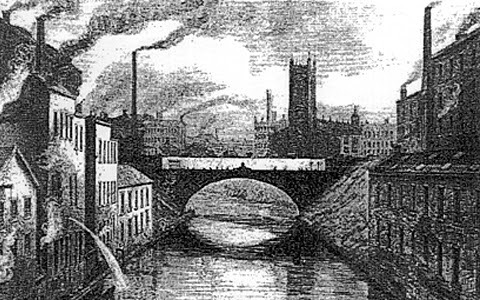 At the time, coal was an important fuel in England and its use created huge amounts of black soot in the air. Ever the marketer, Cook felt a black bird would show better at poultry exhibitions because any soot that had gathered on the Orpington’s feathers would not be readily visible. The Black Orpington was first shown at the Dairy, Crystal Palace and Birmingham poultry shows in 1896 and was an immediate hit with the public. Cook capitalized on this initial success by aggressively promoting the breed, sending Black Orpingtons to many countries around the world including the United States and Australia. Those sent to latter country provided the initial breeding stock for what became today’s Australorp. However, in England the Orpington breed was to about to undergo a radical transformation. Another breeder, Joseph Partington, developed a significantly larger and more extravagantly feathered bird by crossing the Orpington with the Black Cochin. The resulting “Partington Black” was decidedly different than Cook’s original breed – gone was much of the productive value of the bird in favor of its now famous fancy characteristics. Seeing Partington’s success, Cook developed birds with similar bulk and fluffy feathers that he also named Orpingtons. The Buff Orpington was introduced in 1894 and a White Orpington was developed in 1899. 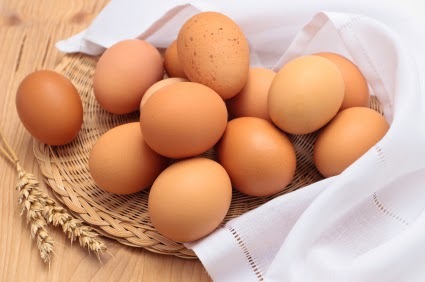 Since then, Blue, Cuckoo, Jubilee, and Spangled varieties have been produced and the Orpington has become one of the most famous and recognized poultry breeds. The breed today is characterized by a small head and comb, wide chest, broad back and soft profuse feathers that are fluffy and contoured. 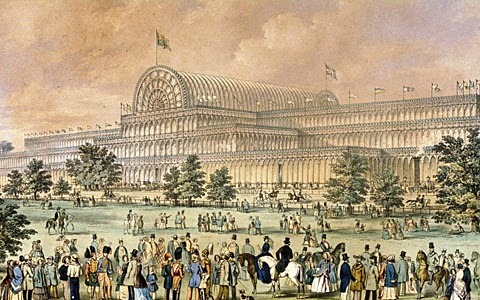 William Orpington continued as a successful breeder and entrepreneur until his death in 1904. 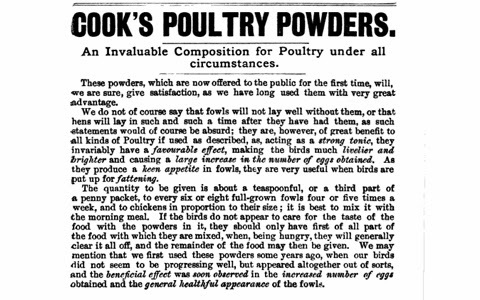 Among his other accomplishments were the publication of a magazine (Poultry Journal), two books (The Poultry Keeper’s Account Book and Practical Poultry Breeder & Feeder), and the manufacture and sale of poultry feed supplements. Sources: Orpingtonaustarlia.com, Orpingtonbantgams.co.uk, “Cook-ing up The Orpington and Australorp” by Dorene M. Lorenz. Have you heard the following expressions? Where did these egg-cellent egg-spressons come from? Check out this clip from the TV show America's Secret Slang that explains the origins of our egg phrases. 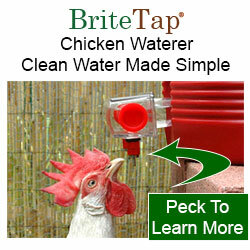 Want to win a BriteTap chicken waterer? Enter our Share & Win Sweepstakes. 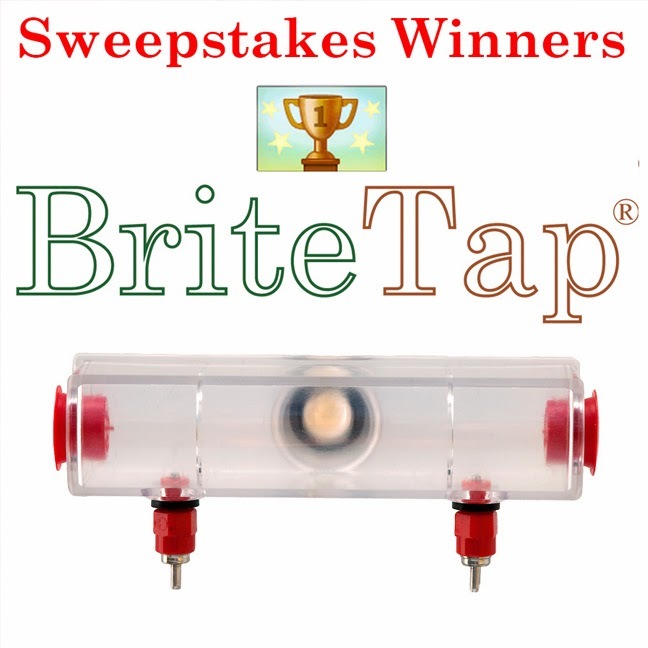 Once you enter, "Like" us and enter the sweepstakes. You'll then be prompted to share with your friends. If you choose to do so, you'll be awarded one bonus entry for each of your friends who then comes to our Facebook page, clicks on the Trophy Icon, and "Likes" us. The more who enter, the more prizes for everyone to win. The more you share, the more potential bonus entries you'll get. 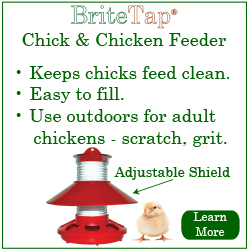 To enter click: BriteTap Chicken Waterer Sweepstakes. Promotion ends Jan 26, 2014 at Midnight. How Many Eggs Will My Chicken Lay?